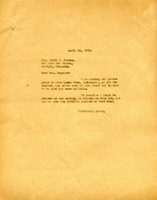 Mr. Robison writes to ask for photographs to accompany a story on the growth and development of the Berry Schools in his magazine. 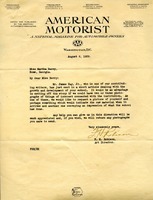 A letter from Martha Berry informing Mrs. Joynes about the sent telegraph to Agnes Winn. 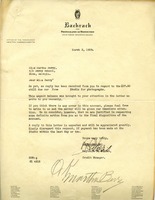 She also states that she might be present at the meeting in Atlanta. 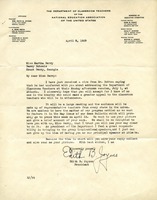 Edith B. Joynes says she is excited to hear that Martha Berry will be speaking to members of the Department of Classroom Teachers of the N.E.A. 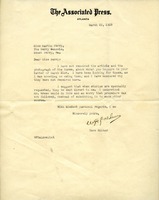 She requests that Martha Berry sends her picture to Miss Agnes Winn to be used in the news bulletin. 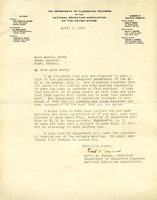 Request from Edith B. Joynes for Miss Berry to address teachers at meeting in Atlanta and be in the May News Bulletin of the National Education Association of the United States. 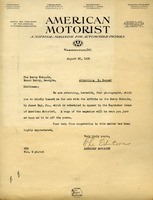 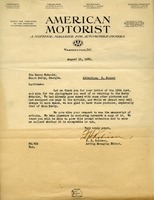 A letter accompanying the return of photographs used in an article on the Berry Schools in the September issue of American Motorist. 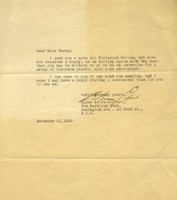 Rayme Moore-Sifford writes that he wrote to Miss Berry with the Pictorial Review but didn't get a reply so he tried again. 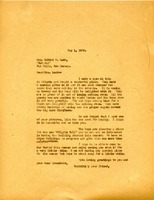 He asks if she would be willing to be interviewed for a group of southern papers and says he can come anytime. 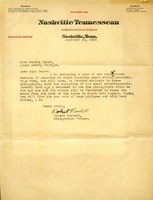 Mr. Rowlett writes to Martha Berry about pictures that they ran in the Nashville Tennessean. 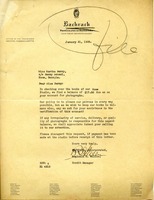 He sends the pictures they did not use and says that he will forward the other photographs after the have run the issue.